Maybe it's all the bad PR that Mexico has been getting lately, but it seems like there are a lot of cheap all inclusive flight + hotel packages on Expedia.ca at the moment. Normally the Canadian tour operators are the most competitive, but it looks like Expedia.ca is beating them right now on some resorts. Although it should be noted that the Canadian tour operators often have direct flights, and the cheap flight + hotel packages on Expedia involve stopovers on US Airways. First, try searching for a 'flight + hotel' March 7 to 14, on http://www.Expedia.ca - to Cancun. Sort by price and go down to around the $800s. Sea Adventure Resort is showing as $853/person after tax for flight and all inclusive hotel. And it looks like they have a 'room second kid free' promotion. The cheapest package in March from the Canadian tour operators to the same hotel is currently $1127/person after tax. By the way, families seem to love this hotel (the picture of the pool above gives an idea of why). Google for the reviews on TripAdvisor. Also look at Royal Solaris Cancun Resort, Marina & Spa All Inclusive. It's showing as $875/person after tax with a bonus $200 resort credit. The cheapest from the Canadian tour operators in March? $1263/person after tax. And no resort credit. Gran Bahia Principe Sian Ka'an All Inclusive, is showing as $903/person after tax on Expedia. It's hard to make a direct comparison, because the Sian Ka'an isn't offered by Canadian tour operators, but their other 3 highly rated resorts are (Gran Bahia Principe Coba, Tulum, and Akumal). And the cheapest of those is going for $1400/person after tax in March. Anyways, those were just 3 examples that I noticed. If you're looking for an all inclusive vacation in March/April/May, you might want to have a look at Expedia.ca at the moment, to compare it against what the Canadian tour operators are offering. Hit Like if you like posts like this! Click Share to show your friends on Facebook. calgary, yyc, all inclusive deals and mexico. 6 Responses to "Just noticing that all inclusive packages to Mexico on Expedia are pretty cheap right now"
Try February 23 to March 2nd for some decent prices in February. Can get the Gran Bahia Principe Coba All Inclusive for $997/person after tax. I do find this interesting. This per person inclusive tax rate that you have used includes how many days? The ones in the example above were for 7 nights, to give it a fair comparison with the packages from the Canadian tour operators, which are most commonly 7 nights as well. Thanks Chris. 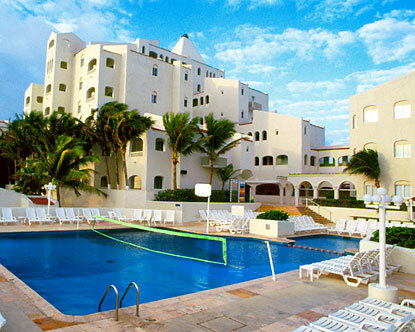 We just booked a week in Mazatlan feb 24-mar3 for 1918.00 for 2 adults, 1 kid at the pueblo bonita emarald bay. saved at least 1000.00 from canadian operators. We connect in Pheonix so not direct but no worse than connecting in vancouver or winnipeg. That is my tip for US connections, always take the southern city and avoid the winter wonderland stopovers. Very nice Don, just to verify though, on Expedia.ca it looks like the Pueblo Bonita is just offered as a flight + hotel, and doesn't include food/drinks. With the Canadian tour operators, the Pueblo Bonita can be had with or without the food/drinks, so I just wanted to make sure you were comparing apples to apples. Yes i caught that and the all inclusive was available for 1200.00 or 180.00 a day more. I think our room come with a kitchenette. We have been before so can get to the seafood market, mall and downtown restaurants.